Certain VW radios have posed a problem at integration of GROM Audi interfaces / aftermarket device to factory system with XM or Sirius radio. That is because on some radios, the satellite radio connector must be disconnected to make room for aftermarket device. In such circumstances, VW-Pass-Through harness can be used in order to make the things work. The cable will allow you to retain satellite radio and connect an aftermarket interface. 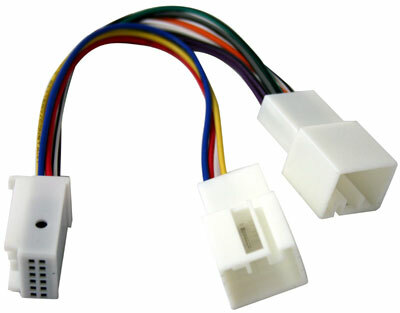 Simply disconnect satellite harness from the radio, and connect Cable-VW-PT male harness. 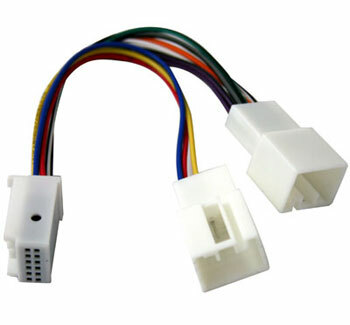 After that, connect satellite radio and GROM Audi interface / aftermarket device male plugs into Cable-VW-PT female connectors.